Here’s our guide to the best of British wedding flowers that will definitely bring floral fabulousness to your big day. 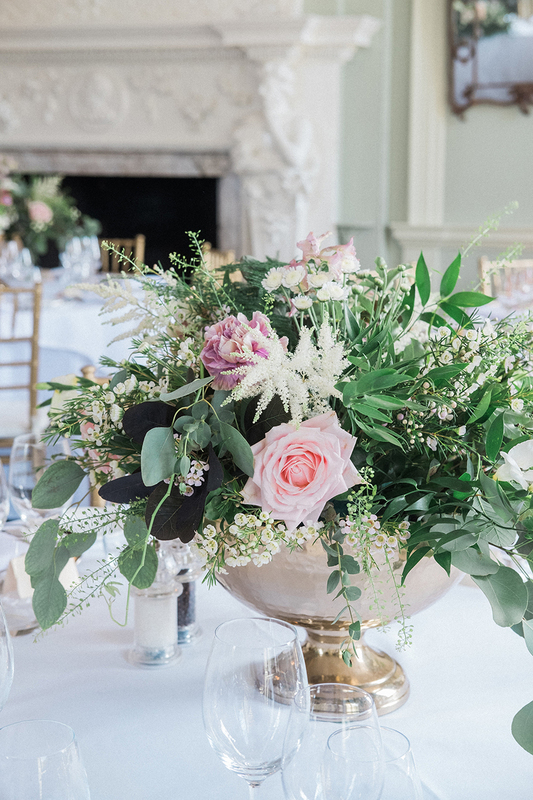 When it comes to wedding flowers, British blooms are definitely best. Not only are we spoilt for choice but British flowers are also great if you looking to be a little more eco-conscious and clever with your budget. Why buy British wedding flowers? 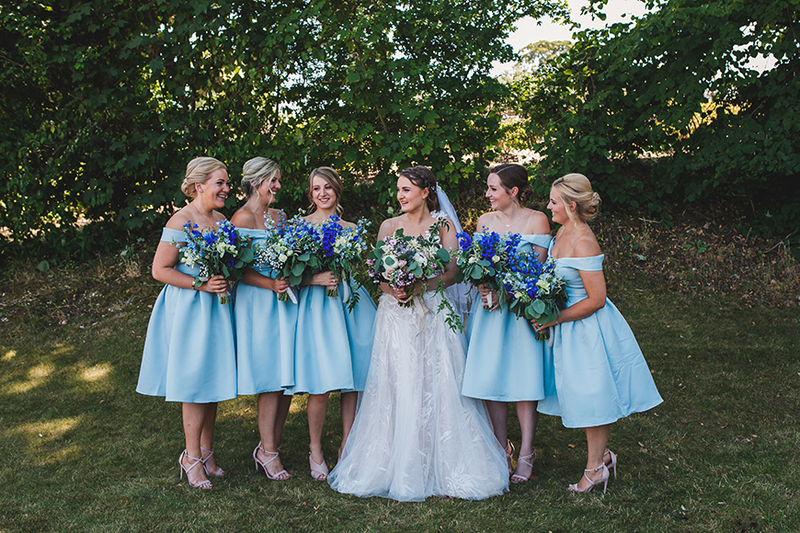 Well, there are loads of reasons why British blooms are a brilliant choice for your day. Let’s start with the environment because right now, more and more couples are making eco-conscious choices for their weddings. It might surprise you just how many of the flowers that you see, particularly in supermarkets, have been imported. Obviously, this isn’t a great option if you care about carbon emissions so straight away, British flowers are a sensible choice. British flowers can also help you get the best in terms of your budget and the quality of the flowers themselves. By working with seasonal flowers, the blooms will be in great condition and they won’t have been ‘forced’. 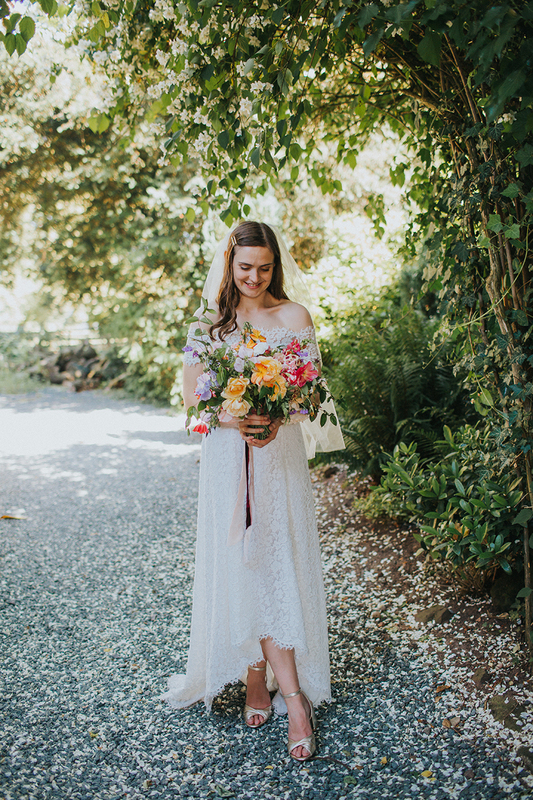 Your florist will also be able to make the most of your budget, particularly if you let them select the flowers that are at their best in the run up to the day. This is how you can get the most for your money and it’s easy to do if you trust your florist. Not only that but lots of florists work with boutique flower farmers so you’re supporting great small business too. 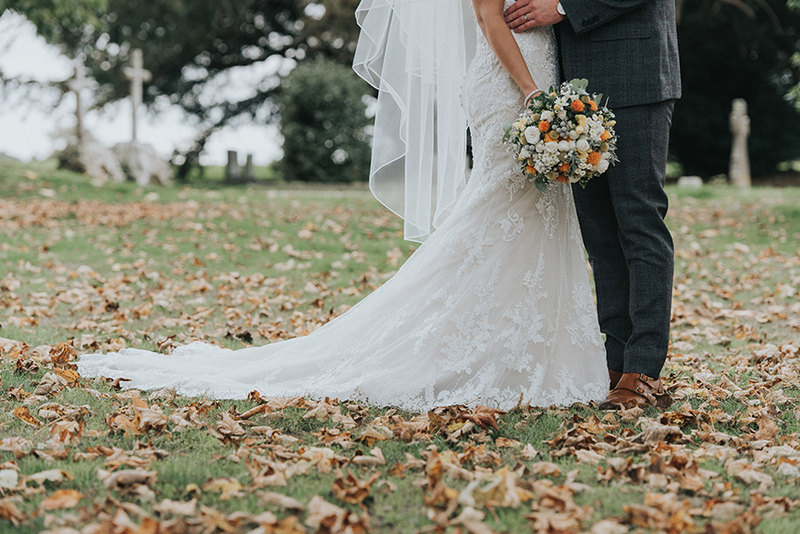 Working with British flowers, particularly seasonal blooms gives your wedding a real sense of time. Spring weddings are all about daffodils, tulips and muscari. 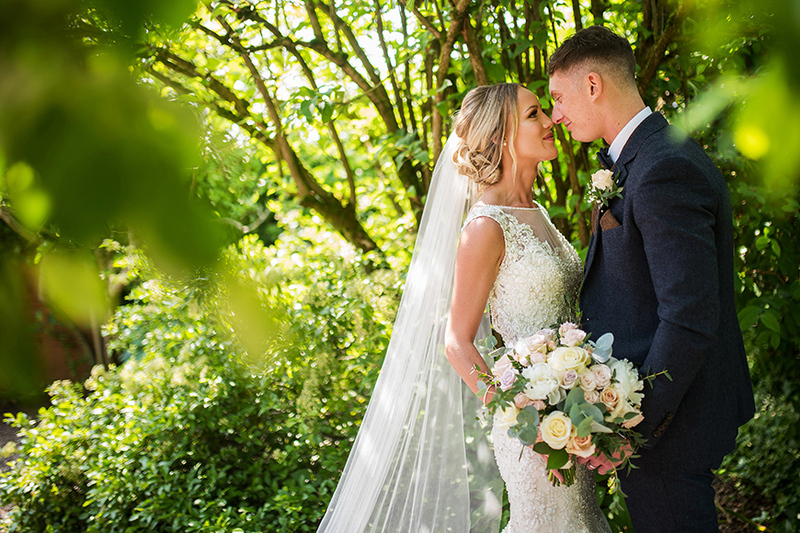 Early summer weddings are full of peonies and winter bouquets with berries and foliage look stunning. Working with the seasons is always a good idea and this is so true when it comes to flowers. Lastly, British flowers are just all kinds of beautiful and, quite often, you’ll have a link with certain blooms. It might be that your childhood garden was full of hydrangeas or sweet peas or that you just love wildflower style blooms. 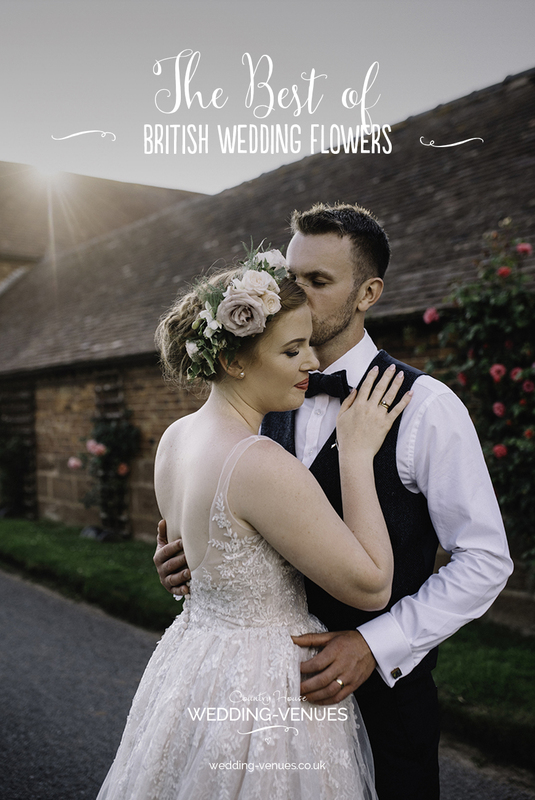 There really is such a wide choice that whatever style of wedding you’re planning, there will be a massive selection of British wedding flowers for you to choose from. Spring – Anemones, forget-me-nots, fritillary, Gelder rose, hyacinths, iris, lilac, muscari, narcissi and tulips are all in season. Wedding favourites lily of the valley and ranunculus are also available, not to mention catkins and blossoms too. Peonies are available in late spring and early summer. Summer – look for lisianthus, sweet williams, stocks, sweet peas, cornflowers, alliums, alchemilla, alstroemeria and freesias to name but a few. Autumn – take your pick from achillea, alstroemeria, astilbe, dahlias, September flower (asters), cosmos, gladioli, delphiniums and echinops are also lovely this time of year. Lisianthus, solidago, sedum and sunflowers are also at their peak in early autumn. Winter – some spring flowers come into bloom in winter such as early tulips and romantic ranunculus. 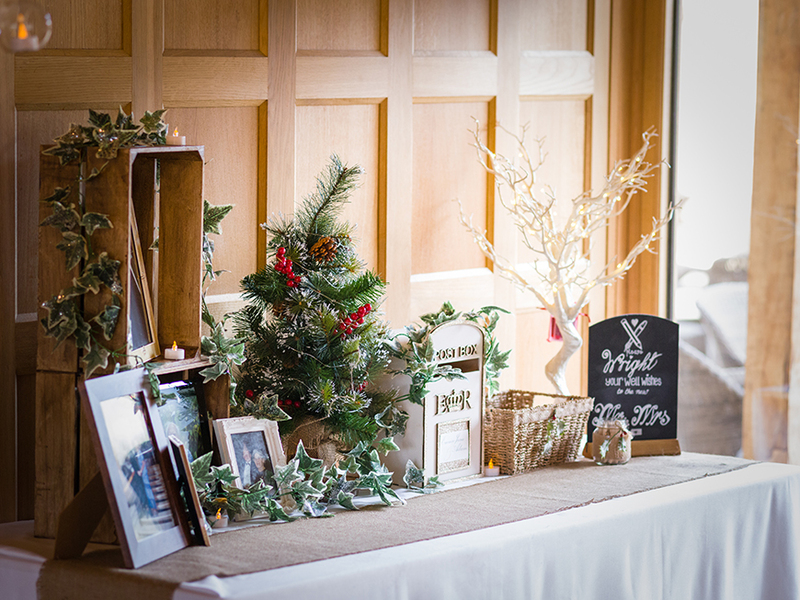 Also think about hypericum berries, pine cones and spruce to bulk out displays as winter flowers can be expensive, particularly around Christmas and Valentine’s Day. For more floral delights, take a look at our guide explaining exactly how to wow with wedding flowers. Real flowers or artificial flowers?